We all dream of and want the world to become a better place. Well, most of us certainly do, if not all. So, if we work for it in the right way, we can make a huge difference and bring drastic goodness in the world. The good that we do doesn’t go away. It stays. It is absorbed, accumulated, and adopted by people who live after we’re gone. Yes, it is a fact that we will die one day, and that’s nothing to fear of or be sad about. But the saddest thing would be to not leave any good behind in the world. Whether you live your life well or not – what matters is that you make a positive difference in the lives of the people even after you die. This happens when you leave a legacy behind that is honored, respected, valued, and imbibed by people. This helps them to better their lives and spread the goodness in the world. So, what legacy will you leave behind in the world? Let’s first understand the meaning of legacy and start with the basics. According to the dictionary and legal definitions of legacy, it is a gift by will of money or personal property. For some, legacy is something that is transmitted by or received from an ancestor or predecessor. It is something that is passed on to you from your family members. Legacy is inheritance. Legacy is your gift to the world. Legacy is your act of gratitude. The gift you leave behind becomes the birthright of your people. Your gratitude becomes goodness for many. It could also become the heritage of your culture, the custom of your society, or the pride of your nation. Legacy is powerful, valuable, and your best charity or donation to the world. Is legacy confined to only materialistic wealth? Of course, not! Values are more precious than valuables. The best legacy is your contribution to humanity by serving a cause greater than your own. The least and best we can do is to teach our children or fellow human beings how to live a life of values, become good human beings, and have love in their lives. Isn’t that the legacy you want to leave behind in the world? But why should you even bother about others? Live your life the way you want, have fun, spend as you like, and do anything you want to do. After all, it’s your life! Why should you even care about what you leave behind if you’ll not be there to reap the benefits from it later? Well, if you do think that way, then you are wrong. You have to bother about the legacy you leave behind because you’re indebted. You see, you owe the life you live to others who lived before you. Your life mostly depends on what you inherited. People live their lives, work with their heart and soul and leave behind the results after their lives end. The impact of these end results becomes the start point for others and the reason for the results they produce in turn. The chain goes on. The process gets refined. The results get better. The good impact that you leave behind instigate others to do better. The better is developed into the best by others that follow. So, the good legacy that you leave behind helps the world to become better. It is in your best interest if you want your loved ones to have the best to their disposal and live a good and better life. It’s not about earning a name or fame, it’s about giving back. You’re thankful for what you got, aren’t you? It’s your turn to say thanks. The best way you say it is through the legacy you leave behind. You learned the importance of legacy. You also realize that you’re responsible for the state of your loved ones and the world after you leave the world. Now, the question is how and what to do to leave a good legacy? One fact that you can easily derive is that you need to do good. But how does one do that? Remember, that anything you do leaves an impact. Every action of yours produces an effect. The example you set brings solutions to the lives of many. Things can even happen negatively if you set a bad example and live your life in a negative way. That way, you produce more problems rather than solutions. So, you need to make a choice – you want to create problems or solutions? You need to care and act responsibly because many depend on what they are left behind with. Their inheritance depends on the way you live your life. As there are so many different aspects to legacy, I will categorize them under these four heads: Personal, Social, Environmental, and Spiritual. You need to act accordingly. The way you live your personal life is important. Remember, you pass on your legacy through your genes. Your genes contain coded information, which is the residual essence of the lives lived by your predecessors. You too are a part of the chain and will pass on your life’s information in your genes, to your children. This information is all about how much you’ve evolved, the values you gained, knowledge and skills you learnt, habits you acquired, your personality, character, nature, and even the diseases. All your personal actions contribute to this residual information repository in your genes. Whether they are your intentions, thoughts, actions, or acts – everything is accountable and part of your legacy. How can you leave a good legacy with your personal actions? Lead a good life, by living a life of good values and virtues. Develop good habits. Choose the ones that help you to be productive, efficient, helpful, and useful. Do not do any of these wrongs – lying, stealing, killing, cheating, or hurting in anyway. Be healthy, both mentally and physically. You can add more to what all you can do with your personal actions to help in creating a better world. Genes are not the final decisive factors, and one can override their impact by one’s own karma or positive actions. But genes do initially form a base, serve as an orientation, and give an advantage to the bearer. Since the genes you pass on depend on the way you live your life, you can change and better this information by changing the way you live. The way you live your social life is important because it impacts the society. Your positive contribution to the community and society paves the way for the development and enhancement of many lives. Remember, one person can make a difference – to the society and to the world. So, BE that person. Your social life can become the role model of people and help them live a better life. No, it’s not about being a socialite, but more of a philanthropist and a social activist. Not necessarily publicly, but you can be one privately and in your own capacity. How can you leave a good legacy with your social actions? Spread the message of social harmony. Contribute to campaigns against racism and for equalism, in your way. Help in eradicating social evils and improving social values. Creating your social legacy does not essentially require you to be an extrovert or outspoken. You can do so in many ways, and blogging is one of them. Blog about social causes, help people understand themselves and improve their lives – convey your good and giving message to people all around the world through this digital medium. The way you live aka your lifestyle is important – as it affects the planet. This planet is your home and you need to keep it clean and safe. Remember, that your simplistic and responsible way of living can save the environment and thus save the world. It’s not about the rich or poor or what part of the world you belong to. People across the globe need to get together, take resolve, and pledge to stop the environmental degradation of the Earth. You are responsible for creating the kind of environment on Earth that you will leave behind. You need to play your part positively and do as much as you can to leave a habitable world for others. How can you leave a good legacy with your environmental actions? Reduce dependability on non-renewable natural resources by inventing new ways. Plant more trees and kill fewer animals to maintain and save the ecosystem. Save electricity and water. This way you save the natural resources and leave more for the future generations. Avoid the use of plastic bags and reduce the consumption of fuel, air conditioners, and others to reduce pollution. Our faulty lifestyle contributes to the depletion of natural resources, disturbs the ecosystem, and negatively affecting the environment. You need to wake up now and take positive measures to lead a life that is compatible with nature. This will be one of the best legacies you would leave behind. The way you live with respect to the diversity of spiritual beliefs and traditions, philosophies and religions – determines the happiness and peace on earth. Remember, all humans are almost 99% identical. Though our means may be different, but the end is the same. The paths are many, but the destination is one. The one thing common in all religions is compassion and love. Whatever you do to let the positive qualities of compassion, kindness, love, generosity, and gratitude prosper, will bring unity in humanity. Agreed that the world has evil, but it can only be countered with goodness. Hate is overpowered with love, and bad is outdone by good. If you practice such a philosophy, you’ll leave a peaceful legacy in the world. Your spiritual actions make you more sensible, open and purify your channels of love, broaden your horizon, and make you more understanding. How can you leave a good legacy with your spiritual actions? Know and understand yourself, and lead yourself on to a path of self-discovery and self-awareness. Pray daily and practice a conscientious and conscious life. If not pray, meditate. Or do both! Develop tolerance and acceptance of thoughts and people other than your own. Learn to see the good in all things and actions and learn the lessons of life. Being spiritual is not necessarily being religious. All those who are religious, may or may not be spiritual either. You just need to seek the meaning in life and make it purposeful. However, being spiritual makes you caring and giving, and such a legacy will definitely make the world a better place to live in. I hope you realize that YOU are responsible for how your children or fellow living beings and their world will be. If only you live your life the right way, you’ll be able to encourage and motivate your successors to adopt the right way to live. You can help make the world good, happy, and peaceful by taking responsible personal, social, environmental, and spiritual actions. The resultant legacy will make you special. Are you ready to be the part of the CHANGE to realize the common dream to make the world a better place? What is the legacy that you will be leaving behind? Have you ever thought of taking the responsibility of your actions and realized the wonders that you can do? How else do you think you can contribute to have a better world? Please share in the comments. I am a professional freelance writer, with ten years expertise in writing, education and management. I hold a Masters Degree in English Language and have many degrees under my belt. With a vast experience in creating quality content for websites as well as individual projects, I provide impeccable content, suiting your needs. Check out my portfolio blog at http://leena-freelancewriter.blogspot.com/. You got a extremely great web site, Gladiola I discovered it through yahoo. I am sorry to read it so late. Actually I scheduled it to read a day before but got engrossed with some other thing. I am so glad to find this post. I never thought that our little actions which we do everyday can impact the future. I loved the way you have beautifully described different aspects of legacy. Also, the tips you provided under each aspect is worth thinking about. Every sentence in that post somehow got related to Kindness, Righteousness, Passion to serve the society, etc. This post would have inspired everyone to lead a life which would set an example for many future generations. I loved a point which you stated: Pray daily and practice a conscientious and conscious life. If not pray, meditate. Or do both! Many atheists who don’t believe in God’s existence should meditate to attain spiritual balance in life. Of course, every thought and action matters and they bring about a domino effect, setting off other events whether you think of them or not. I believe the essence of life is to make it meaningful, and to achieve that, you need to have meaningful thoughts and actions. If you create a good present, that will become a good past, and lay the foundation for a good future. That’s what a good legacy is all about. Both, believers and non-believers have the capability to do good, and meditating is a way of self-medication or self-cleansing that results in good thoughts and actions. Prayers are a good way of programming yourself and making yourself confident and strong. It’s good if you are religious and spiritual, if not, you can at least be good and responsible. Those were my personal views and they might differ from yours or others who read them. But in the end, legacy is all about giving back. Thanks for visiting and reading this post, and I’m glad you were able to gain good values from it. Have a great week ahead! Firstly, I would like to congratulate you Harleena for winning the giveaway. Thanks to Yvonne for having this wonderful giveaway on her blog. I think you have written an awesome post on the deep and meaningful topic of legacy. I agree that each and every one of us need to thing about our legacy and what we are going to leave behind in the world. Our impact and effect on this planet can indeed last for a long time after the inevitability of our passing away. The poem by Percy Shelley comes to mind: Ozymandias…two vast and trunkless legs of stone lie in ruins….the poem describes that time and tide do not wait for any, even for kings and queens and everyone has a chance to leave a legacy, be it a good one or a not good one. I really like the different actions that you have divided your post into and every one of them is an important thing to consider. The block that many people have about their personal legacy is that they feel that their actions or work does not make a significant impact and is not enough to leave a lasting legacy. But like you mention, every single action makes a difference. To add to this wonderful discussion, I will add the profound words of Mother Teresa: “We cannot do great things in our life. Only small things with great love.” I believe that in my life too and believe that every single smile counts, every positive word, every little action of upliftment and every word of encouragement matters. In fact, science has unequivocally proved through quantum mechanics that we are all connected. The butterfly effect says that the fluttering of the wings of a butterfly in Japan has quantum atomic effects over the entire matter of existence. This is bolstered by the physics laws of energy that declare that everything is the manifestation of different forms of energy. Thus even if we make a small move in our legacy or take a small action, it matters. Every little thing matters. Your action tips are outstanding! As it is mentioned in NLP, modeling is a wonderful way to set an example of our personal legacy and also allows others to follow suit. So by our actions and leaving a legacy that we would like to design, we are in effect allowing others to model the same and follow the same beneficial effects. Environmental concerns and habits are a great example. Chief Seattle once said that we need to consider the effects of our actions on the earth for the next seven generations. What a wonderful way to think ahead and assess if our actions will leave a planet that is livable and beneficial for the generations that are going to come forth. Yes, legacy ideally is leaving back good in the world, which is also all about giving back and not specifically for earning name or fame. Of course, we can make the world a better place while living and contributing to it, but we can also keep that going on even after we are gone. Thanks for mentioning the poem by Percy Shelley, I never read it before so it’s good that I came to know of it, and it gives a beautiful message. So true, and wouldn’t it be more beautiful if more people choose to leave a good legacy behind. I tried to simplify the concepts and make it a easy and simple read. The divisions and points may not be perfect, but at least I intended to generate awareness and give a basic idea to people. It’s always a pleasure to read Mother Teresa’s beautiful words, and it’s so true that small acts of kindness make more impact and help cultivate love and peace in the world. I don’t have the in-depth knowledge of quantum mechanics, but I know that the cause-effect and action-reaction principles are universal and eternal. So, everything matters. We can make the theories as complicated or simple, but the fact doesn’t change, and it is that we need to become responsible. Thanks for contributing such wonderful examples that I wouldn’t have thought of and they do add a great value to the post. Again, I do not have much idea about NLP, but I agree that modeling works, whether in school, work place, or in life. You’ve described everything precisely and beautifully. I’m sure what we do has an effect on generations ahead and it was good to learn the views of Chief Seattle. Firstly congratulations on this awesome win and kudos for coming up with such a wonderful post. I think this is the second post of yours after Adrienne madam’s blog that I am reading outside your blog. Trust me there is no difference in anything, same detailed and lovely posts everywhere. Whenever you write about life and motivation you are my most favorite their is no one I have read who has such detailed insights of life. I am longing to see one on Aha!NOW also. Legacy is a deep and extensive topic. This very thing is a cause of too much chaos if you consider the physical value of it. As soon as you divert it to the spiritual and reflective side of life you understand that whatever had been defining legacy monetarily had in actual not been a legacy at all. As you said legacy (the one which is good and demanded) is achieved through good deeds, good mentality, good inner thoughts and sprtituality. Hope everyone in the world understands this. So good to see you here again. 🙂 An awesome post and deep and extensive topic indeed. I would also add enlightening too because I’ve always had the idea that a legacy was reserved for the rich and famous and it was limited to wealth or financial inheritance. But now I see how a legacy can be built through the kindness we repeatedly do for others, spiritually, our actions towards the environment and so on. Thanks for stopping by. Have a blessed week. When it comes to life, I feel I can go on at lengths writing about many different aspects. That’s one reason I have re-branded my blog as a LIFE blog. I feel we should take consider creating a legacy as a way of life in a simple way and avoid complicated plans and complex processes. You create a good legacy if you give back something good, something that is worth to someone, something that helps to contribute peace and happiness to people and the world, directly or indirectly. Good deeds are of course the best way to develop yourself and create a good legacy. We all can do this and I thank you for extensive discussion on this important topic. Welcome to my blog. I am delighted that you took the time to stop by and give this great feedback. Your words are very encouraging. I am really glad that Harleena decided to handle this subject which I too had taken for granted before. But having read this post and agreeing to make it a priority, I can see that my living would not be in vain – a legacy is being built to leave behind in the world. Have a blessed day and upcoming week. 🙂 Harleena will be right along shortly to respond to your comment as well. I’m glad you like the topic. I don’t think there’s anything wrong with not being remembered for anything, because there may be some good that you do that nobody ever gets to know. Even living justly and righteously is doing good and you only know that. There’s also nothing wrong with living the life your way if it is a good way of living. What I believe is that we need to set micro goals, in units of seconds.. try to achieve success in being and doing good every second. That way we end up achieving a lot and feel good about it, isn’t it! I’m sorry that I’m kind of late to this post, I hope I’m forgiven 🙂 . Hello Ma’am Herleena, it’s really nice to see you on Ma’am Yvonne’s blog. It’s really nice to work for a thing that benefits all, I mean it feels good. I saw this line somewhere in the post “The good that we do doesn’t go away. It stays.” Yes it does stay’s but people say “why should I” probably, they might not be alife to enjoy it, yes it’s necessary leave a lagacy that will make our name still be said in the world even after we are gone. There are great people in the world who are remembered even after a hundreds of years of their death, probably, they invented or created a thing that was useful to mankind, or in one way or the other, have contributed positively to mankinde, who doesn’t want to be remembered for his good? No one. I’m glad I came across this unique article, you both are keeping a good lagacy. I agree that Harleena has done a great post – opening up our mind to legacy, what it means and how to go about building and leaving one behind. We all want to be remembered for something and whatever that thing is, we should all strive to make it be the best that we can. Thanks for stopping by. This was a great opportunity for me to write about something special in life, and what could be a blog better than Yvonne’s for this purpose. Oh yes, the good remains good, and like the old wine, its value enhances with time, and you get better taste of life. The good you do will not be forgotten and its positive impact will benefit life in some way or the other. As I wrote in the post and also in one of the comments that it’s not always about making your name or getting fame, its about giving back. But its good even if you do good for the name sake, because after all the good is good in anyway and by which ever way it comes. Great catch Yvonne! Way to go!!!!!! Hi Harleena! You’ve offered some great advice here. When I was an Army Chaplain I never once met a person who said on their death bed that they wish they had worked more in their job or played more games, or watched more tv, etc. Nope, every single one wished they had followed their dreams and been there for their families. A legacy is lived through those that you touched and made a difference for. That doesn’t mean it has to be as a celebrity. It could mean your family, friends, co-workers, and your direct area of personal influence. I really enjoyed this fantastic article. Thank you for sharing your ideas Harleena! The feedback from your personal experiences is so valuable. I know about you being a Chaplain from one of your recent posts on your blog, which makes you a real expert I would say, and I value your feedback. You’re so right that it’s at their end time when people really realize the value of life and the way it should have been lived. The wise think ahead of the end game, become visionaries, and start living their life well in advance, so that they have less regrets or no regrets at all when they leave the world. I so agree that “A legacy is lived through those that you touched and made a difference for.” Beautiful! The right way of living is being kind and helpful to every soul. If not instantly, sooner or later they will appreciate and value you, and most likely imbibe them in their persona. This is my first time that I am reading about such type of different topic. You know we all used to show our gratitude, do charity, having good wealth and more what we call legacy is. But the real meaning of legacy can’t be defined because it can’t be accepted by every person. People think about it in their own way. I don’t have much experience about life but after going through this article I am clear about many things. Thanks for your amazing thoughts. Yes indeed, we don’t usually come across such topics because very few of us write about it or even have the time to think deeply about it. I guess with the busy lives we lead, it all seems an uphill task unless we make an effort. You are right in a way because every person would have their own views about the meaning of legacy and what it means to them, though the core remains the same, isn’t it? You’d learn as life catches up, and it goes pretty fast! After reading this I asked myself what kind of legacy am I creating? I live my life wanting and striving to become a better person, husband, son, father and friend but never thought about legacy. As I take a closer look at my life that’s exactly what I’m doing, creating a legacy. I have adopted some healthy habits like watching what I eat and exercising. I give back to the community by speaking about drugs and addiction. And the spiritual action I’m developing is learning to put others before myself. But the area I never thought about is the environment. I was telling my mother just the other day I think she’s the only person I know who still recycles. She explained it’s our job to take care of the Earth. I have to agree with you that it will be one of the best legacies I can leave behind. I need to wake up and start thinking about our Earth. Harleena I learned a lot about legacy reading this wonderful post but mostly I learned a lot about myself. Thanks! I guess your intention and way of life to become a better person is a positive legacy in itself. You’re right, all that you do are contributing to building a good legacy, which you can be really proud of. I must appreciate your mother for her concerns and thoughts. We really have to take up the responsibility to take care of the Earth. It’s an honor for me to receive such a kind feedback about the post from you. Glad you liked it. I guess I haven’t thought too much about what I intend my legacy to be but it would definitely involve my treatment of others. My closest friends always rave about how good a friend I am and how I help them. I never really thought about it, I just did what I thought a friend should. My legacy would probably be related to that somehow. I am sure you are a wonderful friend and that’s why your friends noticed it and talk about you. Yes indeed, your social actions matter. The impression you leave in the minds of your friends and loved ones, the relationships you’ve built with them and all the things you share with them, would be your legacy. I certainly agree with you. And thanks for that beautiful quote. Blessings and have a great weekend. Yvonne’s been so kind enough to have me over as her guest, and it’s been a pleasure to write about something I always wanted to write of, and if not here, I might have written about it on my blog sooner or later. We are remembered by our good deeds so we need to leave behind an image of ours which brings momentum to life and instill hope in despair and turns the darkness into the light. This is possible if we spend our life responsibly. You must have observed that many young people do whatever they want to do but in their old age they don’t like their kids do the same which they have done years ago. This is because most of the people don’t have future vision of their way of living and just spend the present, forget the past and can’t foresee the future. This all happens because of their whimsical way of living. They follow desires and forget about the morals. They focus at short-lived happiness and never think about eternal bliss. As a result they don’t have much to give it to their next generation and depart from this world physically and spiritually both. In short they are remembered with their names and not the deeds because they didn’t leave anything worth quoting. Thanks a lot for sharing this very thoughtful post. I totally agree with you. If we care for the future, we’ll act responsibly. We are indeed remembered by our good deeds. For that matter even the bad people and their bad deeds too get embedded in history, but in the negative way. You need to leave behind your charisma that would attract and compel people to follow and lead a positive life. When we were young, we too must have made mistakes, some learn from them to not to repeat and make others aware of the negative effects, while some do not learn and repeat the same mistakes. Making mistakes is not bad or evil, not learning from them or not repenting is not good. Repeating a mistake is a bigger mistake. I believe living a life of desires is okay if you do not forget your morals. A life of value brings more happiness and makes life easy. Of course, long lasting happiness only comes from focusing on eternal things and aspects. It’s true that if you do not live your life in the right way, you might as well pass on that wrong teaching to the new generation and make things difficult for them. Congratulations madam Harleena for winning this guest post on Yvonne’s blog! I can understand why you were selected. This is about one of the best post that I have come across in a long time on the web! It is highly informative and is unique and certainly different from the common everyday blog posts. Hardly that one would even think of a legacy. I even once thought that it was only for the rich and famous and not for the common ordinary folks. I love the way that you have defined legacy for your readers. It has its roots in the way that we choose to live our lives each day. We should all strive to leave memories that others will cherish and would want to follow. 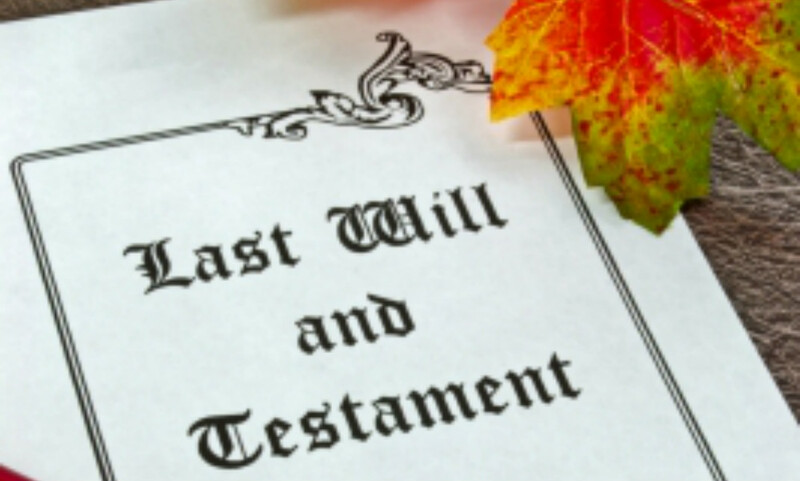 I can now make a connection between legacy and family generation that it is not just leaving a will with money, property and other material possessions. And since it can be passed on in our genes, it has to do with good spiritual morals and values that can be inherited from those gone on before us. Well done. I will take your advice and your counsel here and apply them to my life. God bless you. Thank you for saying that, and I am glad you liked the post. Yes, written with all my heart and when we do that, nothing but the best shows up, isn’t it? You are right, such topics and things one doesn’t usually think about, but when one does, one can go to great lengths. Absolutely! It’s all about the way we live our lives, what all we pass on to our children, and the memories that people cherish after we are gone – these are the most valuable things. Not the monetary or materialistic possessions, nor property as most of us tend to think. What an awesome and thought provoking article! I think it is so important that we have a positive impact on this world while we are in it. When our day comes that we pass on, what will others have to say about us? What impact would we have on their lives and the generations that follow? I love the fact that legacy is defined as my gift to the world and my acts of gratitude. That is powerful and should give us all the motivation to leave a legacy behind! What is even more powerful is the fact that our legacy does not have to be monetary in nature, it can be the values we stand for and believe in. As you mentioned we owe our legacy to the ones that came before us and now we get the opportunity to build on that and leave our own legacy. Maybe the legacy that was left for us is not positive, but if that is the case we should be motivated even the more to leave a positive legacy for others. You have given us many positive ways we can leave an awesome legacy that we can be proud of. I thank you for bringing such a powerful topic to light as I think we all need this wonderful reminder of our responsibilities while we are on this earth. Thank you for sharing. Welcome to my blog. So good to have you join us and to leave such value added comment. Yes indeed it is quite an informative and thought provoking article. Until this write up, I had not given much thought about legacy and what I would even want mine to represent. So this is much food for thought that is already making an impact on my life and hope many who read this post. I will turn you over into the capable hands of Harleena who I am positive will reply in full to your feedback. Meanwhile continue to enjoy the day/rest of the week. Yes, it’s important that we learn to live in the positive way, with positive thoughts, and positive actions. And its not about what others got to say about us, its about giving back. It’s a way of giving thanks every day to the ones who lived before us, and a way of loving the ones in the present and future times. I’ll take the example of Mahatma Gandhi and Martin Luther King – the legacies they left the world with will be valued for centuries to come. They didn’t do what they did for themselves. Money is special but not significant. I like your point of view that even if the legacy left for us is not positive, we should leave a positive one for others – beautiful! Thank you for sharing your splendid view and I’m glad we’re on the same page and frequency on this. We should always be concerned about the memories we are to leave after life on earth. Just like you said; many seem not to care much about this since they won’t be around to reap the benefits, hence, they live their lives the way they like, treat people they way they wish and do all sort of things that aren’t normal. Yes, we won’t be around the reap the benefits of the good work, however we should worry about what the people around us will say after our demise. Will they actually be delighted hearing that we are no more? Or will they feel sorrowful hearing that we are no more? All these are questions we should ask ourselves while living our lives on earth. I’m glad you agree with some aspects of this post. It’s so important to know and be responsible for what you sow – there’s always a greater meaning to our life and a greater good to value. As you become aware and evolve, you realize that life is not only about yourself, your daily activities, your success and struggles. There’s a greater purpose to life, and one of its aspect is to leave a good legacy for others. It’s so good to know that you understand the meaning and value of living life the right way. I hope we can all together spread this message and help bring goodness on our beloved Earth. I welcome you to EMB this time as a guest blogger. 🙂 You won this guest from the blogger support mega giveaway that was held recently as my way of saying thank you for your continued support and contribution through your comments and also for sharing on your social media sites. You were also tagged and featured as one of our “STARS” blogger and the Queen of C.H.E.A.P bloggers contest. You have proven beyond a shadow of a doubt in your post here why you were the most suited for the honor. You are a living legacy and we honor you for that as well. This is such a very important topic and I am delighted that you choose to write about it. So many have thought about the subject but somehow think it is just limited to the rich and famous. But here you have shown us that it is something that ALL of us need to be thinking about. Sure we can live our lives the way that we want to but at the end of the day, what do we have to show that we made a mark or an impact on others in the world. These are excellent action steps you have laid out that we can follow. I am particularly interested in these because there is a tendency to associate a legacy with wealth, money and material things. But you have proved it’s much more than that. It can be passed through our genes, from one generation to another. It is about how we treat planet earth while we are living here ie environmental actions. It’s also about social, personal and spiritual actions. The approach is holistic. Thank you so much for giving me the opportunity to guest post on your blog and present my views in front of your blog audience. Before I say anything, I’d like to congratulate you on the way you are bringing up your blog. I like the stuff here and its qualitative and meaningful. Ah.. being STARS and C.H.E.A.P at the same time was a wonderful experience! I’m touched by your honor and words, and I appreciate it very much. I had this topic in my mind for a long time but wasn’t getting the opportunity to pen it as i got too involved and busy with the community over at my blog. I’m glad you gave me the right opportunity to express myself. For me, legacy has never been about money. Though money is great, but its never as great to associate it with the essence of life and legacy. I guess it all comes down to self-awareness. If you’re self-aware, you’ll be careful of every step you take, responsibly and sensibly. Those who truly understand life really value it and all the aspects associated with living a good life. 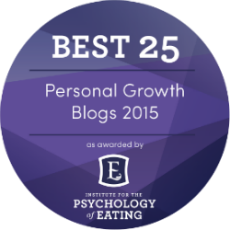 Talking of self-awareness, Ikechi has a great guest post on it today on my blog. I also believe that life is an experiment to teach us how to live. You’re not judged on the basis of the name, fame, status, and money you achieve, but on how you live your life. I’ve explained everything in detail in the post, but these are only my personal views and I’d love your blog audience to add more to the existing action steps and ways to follow. Thanks Yvonne for giving the Queen the chance to inspire us with this great post on Legacy. We must leave a legacy in our world be it good or bad so the question which you have mentioned is what legacy do you intend to live behind. Harleena I was excited when you talked about genes. You are right that our legacy can be passed through our genes but like you highlighted, it can be changed if we desire and take action. In summary, we must constantly work towards creating a lastly legacy because we owe the world and the people after us. Thanks for helping me to give Harleena the royal red carpet welcome to EMB. She is very resourceful and she has done an excellent job in putting this post together. I have learned quite a bit from it. Let’s hear what others have to say. I am certain that she will give her feedback on your comment also. As I mentioned in the post, genes are not the decisive and final factors in deciding ones fate. The actions stemming out from desire, determination, dedication, devotion, and discipline can help you change the course set by your genes. We can always create our future our way and do not have to depend on the past or on the genes. But the genes matter for those who are not self-aware and really believe or understand that they have the power to not only change their own life, but even change the world! I agree with your conclusive statement and wish if more people can think this way.